Imagine this today. Cheers rang out in the streets of Washington, D.C. on July 1861 as 35,000 strong marched out to begin the long-awaited campaign to quickly capture Richmond and end the war. It was an army of amateur recruits, few of whom knew of the battle that was to come. As excitement spread throughout the city, citizens and politicians loaded up their wagons with their families and planned to picnic as they watched a colorful show. Little did the spectators realize – they were about the watch one of the bloodiest conflicts of the American Civil War. On the morning of July 21, McDowell sent his attack columns in a long march north towards Sudley Springs Ford. This route took the Federals around the Confederate left. To distract the Southerners, McDowell ordered a diversionary attack where the Warrenton Turnpike crossed Bull Run at the Stone Bridge. At 5:30a.m. the deep-throated roar of a 30-pounder Parrott rifle shattered the morning calm, and signaled the start of the battle. McDowell’s new plan depended on speed and surprise, both difficult with inexperienced troops. Valuable time was lost as the men stumbled through the darkness along narrow roads. Confederate Col. Nathan Evans, commanding at the Stone Bridge, soon realized that the attack on his front was only a diversion. Leaving a small force to hold the bridge, Evans rushed the remainder of his command to Matthews Hill in time to check McDowell’s lead unit. But Evans’ force was too small to hold back the Federals for long. Soon brigades under Barnard Bee and Francis Bartow marched to Evans’ assistance. But even with these reinforcements, the thin gray line collapsed and Southerners fled in disorder toward Henry Hill. Attempting to rally his men, Bee used Gen. Thomas J. Jackson’s newly arrived brigade as an anchor. Pointing to Jackson, Bee shouted, “There stands Jackson like a stone wall! Rally behind the Virginians!” Generals Johnston and Beauregard then arrived on Henry Hill, where they assisted in rallying shattered brigades and redeploying fresh units that were marching to the point of danger. About noon, the Federals stopped their advance to reorganize for a new attack. The lull lasted for about an hour, giving the Confederates enough time to reform their lines. Then the fighting resumed, each side trying to force the other off Henry Hill. The battle continued until just after 4p.m., when fresh Southern units crashed into the Union right flank on Chinn Ridge, causing McDowell’s tired and discouraged soldiers to withdraw. At first the withdrawal was orderly. Screened by the regulars, the three-month volunteers retired across Bull Run, where they found the road to Washington jammed with the carriages of congressmen and others who had driven out to Centreville to watch the fight. Panic now seized many of the soldiers and the retreat became a rout. The Confederates, though bolstered by the arrival of President Jefferson Davis on the field just as the battle was ending, were too disorganized to follow up on their success. Daybreak on July 22 found the defeated Union army back behind the bristling defenses of Washington. Anticipating such a move, the Southerners abandoned the Manassas area and marched to meet the Federals. By the end of May, McClellan&apos;s troops were within sight of Richmond. Here Gen. Joseph E. Johnston&apos;s Confederate army assailed the Federals in the bloody but inconclusive Battle of Seven Pines. Johnston was wounded, and President Davis placed Gen. Robert E. Lee in command. Seizing the offensive, Lee sent his force (now called the Army of Northern Virginia) across the Chickahominy River and, in a series of savage battles, pushed McClellan back from the edge of Richmond to a position on the James River. At the same time, the scattered Federal forces in northern Virginia were organized into the Army of Virginia under the command of Gen. John Pope, who arrived with a reputation freshly won in the war&apos;s western theater. Gambling that McClellan would cause no further trouble around Richmond, Lee sent Stonewall Jackson&apos;s corps northward to "suppress" Pope. Jackson clashed indecisively with part of Pope&apos;s troops at Cedar Mountain on August 9. Meanwhile, learning that the Army of the Potomac was withdrawing by water to join Pope, Lee marched with Gen. James Longstreet&apos;s corps to bolster Jackson. On the Rapidan, Pope successfully blocked Lee&apos;s attempts to gain the tactical advantage, and then withdrew his men north of the Rappahannock River. Lee knew that if he was to defeat Pope he would have to strike before McClellan&apos;s army arrived in northern Virginia. On August 25 Lee boldly started Jackson&apos;s corps on a march of over 50 miles, around the Union right flank to strike at Pope&apos;s rear. Two days later, Jackson&apos;s veterans seized Pope&apos;s supply depot at Manassas Junction. After a day of wild feasting, Jackson burned the Federal supplies and moved to a position in the woods at Groveton near the old Manassas battlefield. Pope, stung by the attack on his supply base, abandoned the line of the Rappahannock and headed towards Manassas to "bag" Jackson. At the same time, Lee was moving northward with Longstreet&apos;s corps to reunite his army. On the afternoon of August 28, to prevent the Federal commander&apos;s efforts to concentrate at Centreville and bring Pope to battle, Jackson ordered his troops to attack a Union column as it marched past on the Warrenton Turnpike. This savage fight at Brawner&apos;s Farm lasted until dark. Convinced that Jackson was isolated, Pope ordered his columns to converge on Groveton. He was sure that he could destroy Jackson before Lee and Longstreet could intervene. On the 29th Pope&apos;s army found Jackson&apos;s men posted along an unfinished railroad grade, north of the turnpike. All afternoon, in a series of uncoordinated attacks, Pope hurled his men against the Confederate position. In several places the northerners momentarily breached Jackson&apos;s line, but each time were forced back. During the afternoon, Longstreet&apos;s troops arrived on the battlefield and, unknown to Pope, deployed on Jackson&apos;s right, overlapping the exposed Union left. Lee urged Longstreet to attack, but "Old Pete" demurred. The time was just not right, he said. The morning of August 30 passed quietly. Just before noon, erroneously concluding the Confederates were retreating, Pope ordered his army forward in "pursuit". The pursuit, however, was short-lived. Pope found that Lee had gone nowhere. Amazingly, Pope ordered yet another attack against Jackson&apos;s line. Fitz-John Porter&apos;s corps, along with part of McDowell&apos;s, struck Starke&apos;s division at the unfinished railroad&apos;s "Deep Cut." The southerners held firm, and Porter&apos;s column was hurled back in a bloody repulse. Seeing the Union lines in disarray, Longstreet pushed his massive columns forward and staggered the Union left. Pope&apos;s army was faced with annihilation. Only a heroic stand by northern troops, first on Chinn Ridge and then once again on Henry Hill, bought time for Pope&apos;s hard-pressed Union forces. Finally, under cover of darkness the defeated Union army withdrew across Bull Run towards the defenses of Washington. 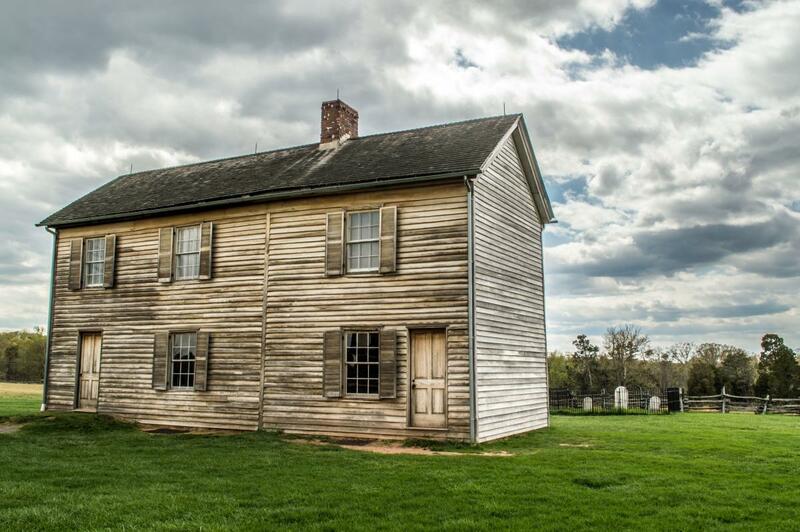 Lee&apos;s bold and brilliant Second Manassas campaign opened the way for the south&apos;s first invasion of the north, and a bid for foreign intervention.